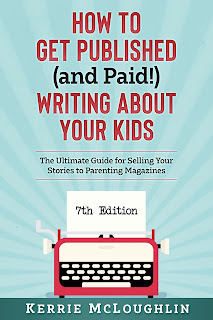 Welcome to another edition of Markets for Parenting Writers brought to you by ... me! 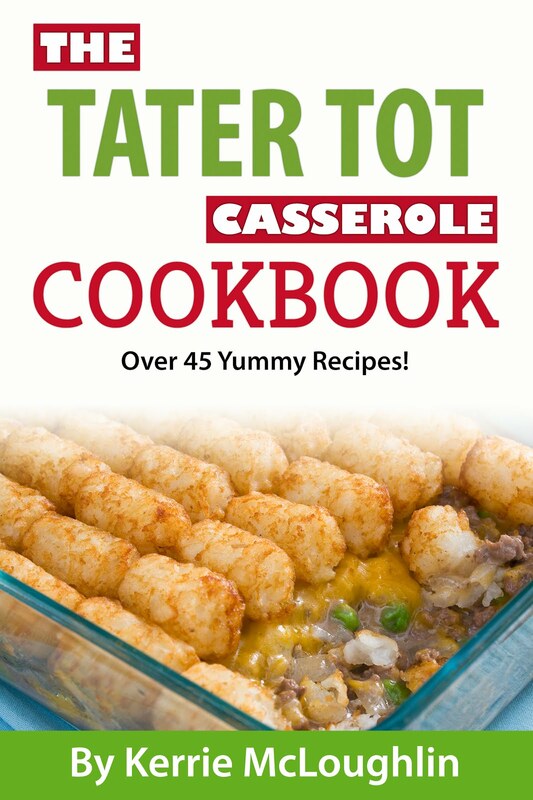 If you'd like to check out dozens upon dozens more such markets, all paying, check out my book here! Freelancers are welcome in all sections of Babble. Use Babble search to see if your topic has been covered already. If not, indicate in the subject line of your email what section of Babble your piece would run: pregnancy, baby, toddler, kid, mom, celebrity, products, or food. Mom is the general category subsuming mom/parent identity, health, and relationship issues. Example subject line: Article for Mom: I Hate Going to the Park, Am I the Only One? 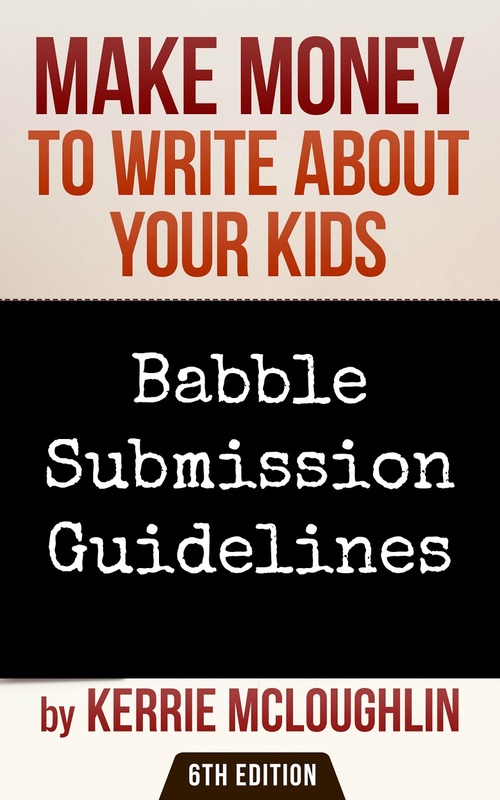 As concisely as possible, indicate if you’ve written for Babble before (include links to articles) and include 2-3 links to other things you’ve written. 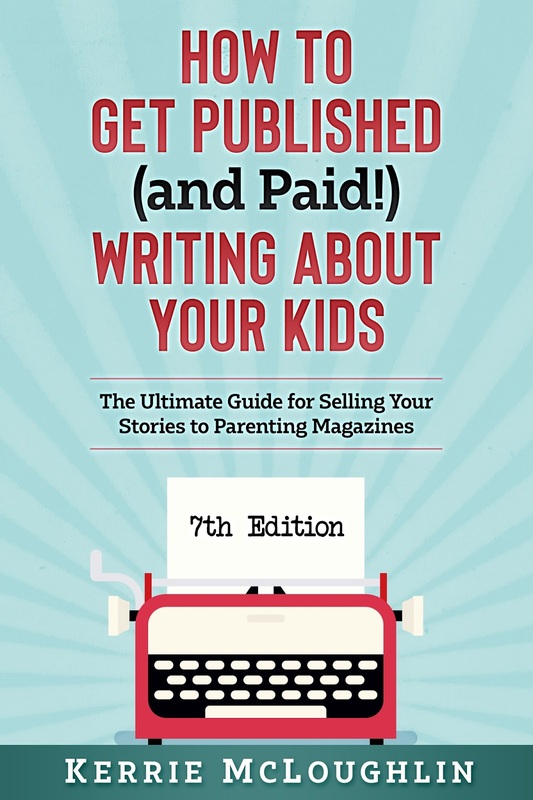 If you’ve never been published, that’s OK. Just let us know. Tell us the topic of your piece in 1-2 lines maximum. If you can’t explain it easily, it’s not ready to pitch. Then explain your angle — your new contribution to the topic, what’s insightful/entertaining/counter-intuitive/poignant about your approach. For this, again, 1-2 lines maximum. Give us the first paragraph of the piece and then an outline of the rest. If it’s a list, include a few sample entries. If the piece is already written, include it as an attachment. We are unable to accept articles that have been published elsewhere, including on personal blogs. Only submit a piece once and please don’t follow up. Because of the volume of submissions, we can’t respond to everyone who writes us. If you don’t hear back, assume we decided not to accept it. Sorry about that. 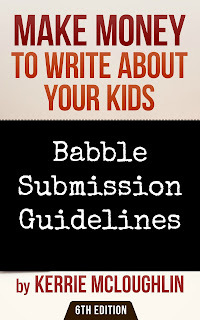 Please direct all submissions to submissions@babble.com. Kerrie says: Found out from a source that they pay around $150 for a 800-1,200 word piece, and I don't know if they accept reprints. Also read in a group that they don't pay for the first two pieces (that's the length of their trial period). Another source shared: "Their email stated they do have a trial period of 2 pieces then are paid at the freelance rate of $75.00 in response to the long ago asked question of the trial period." However, one writer shared that she was paid from the 2nd piece on. Another shared that she was not paid for the first three pieces, so there is not a lot of consistency going on there. Also, check out this piece on Horkey Handbook called How I Got Published on Babble!